Solar energy, which provides clean energy from the sun, is booming in the United States and globally. The cost to install solar energy has dropped by more than 70 percent since 2010. In the last decade, solar has experienced an average annual growth rate of 68 percent. Many households and businesses that switch to solar energy save money and decrease their ecological footprint. While there is no doubt solar energy can be an important solution for many of the world’s energy problems, it’s not a magic pill. 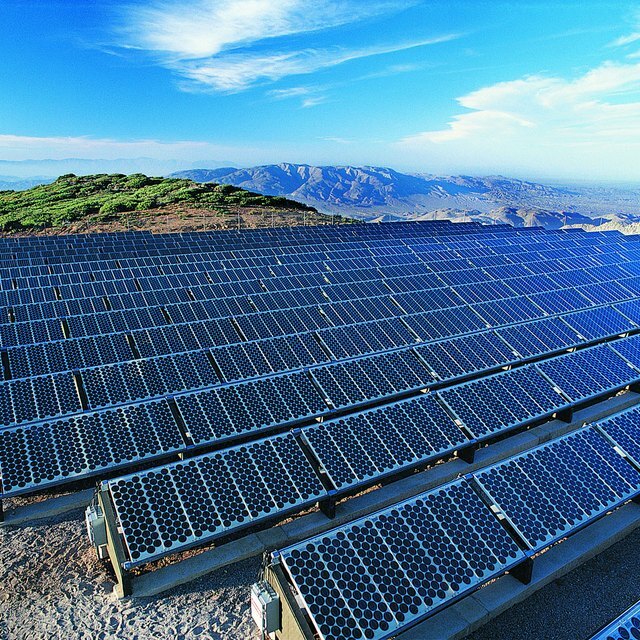 Some studies show solar energy to have considerable environmental drawbacks. Large utility-scale solar panels take up a lot of space, which can result in environmental degradation and habitat loss. Solar farms that cover a large amount of land are likely to have an impact on the local fauna and flora, particularly on birds. Solar farms can also inhibit local vegetation growth and damage agriculture. Unlike wind energy, solar panels aren’t able to share the land they occupy for other uses. Small-scale solar panels for domestic use don’t require much land. However, at an industrial level, the sheer amount of required space for the panels to produce energy is a challenge. Also, many people feel that utility-scale solar panels create an aesthetic disturbance for the communities in the vicinity. Creating energy with solar photovoltaic panels is a water-intensive process. Even though the solar cells themselves don’t use water to generate electricity, the manufacturing process requires some water. In the United States, electricity production accounts for more than 40 percent of all daily freshwater withdrawals. Even though some of this water can be reused, an abundance of solar panels in an area could put a strain on local water resources. The photovoltaic manufacturing process employs toxic chemicals such as hydrochloric acid, sulfuric acid, nitric acid, hydrogen fluoride, 1,1,1-trichloroethane and acetone. If manufacturers don’t strictly follow the laws and regulations, these chemicals can introduce significant health risks, particularly to the manufacturing workers. Furthermore, if the solar panels aren’t disposed of properly, these toxic chemicals can be an environmental hazard. Solar panels create 300 times more toxic waste per unit of energy than do nuclear power plants. Often, panels end up in e-waste dumps in developing countries such as India, China and Ghana where these toxic chemicals might create devastating health effects for residents of nearby communities. Environmental Progress: Are We Headed for a Solar Waste Crisis? Didem Tali is a journalist whose work appeared on the National Geographic, The Guardian, BBC and many others. Where Is Solar Power Used the Most? Tali, Didem. "Negative Effects of Solar Energy." Sciencing, https://sciencing.com/negative-effects-solar-energy-6325659.html. 23 April 2018.